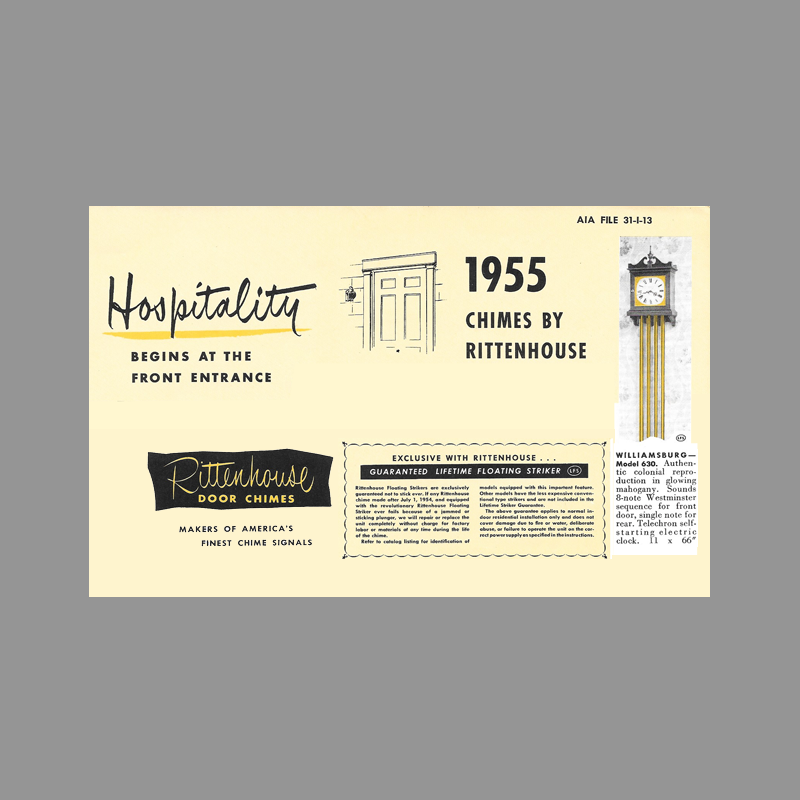 The Williamsburg succeeded the Concord as the flagship clock-chime from Rittenhouse in 1955. 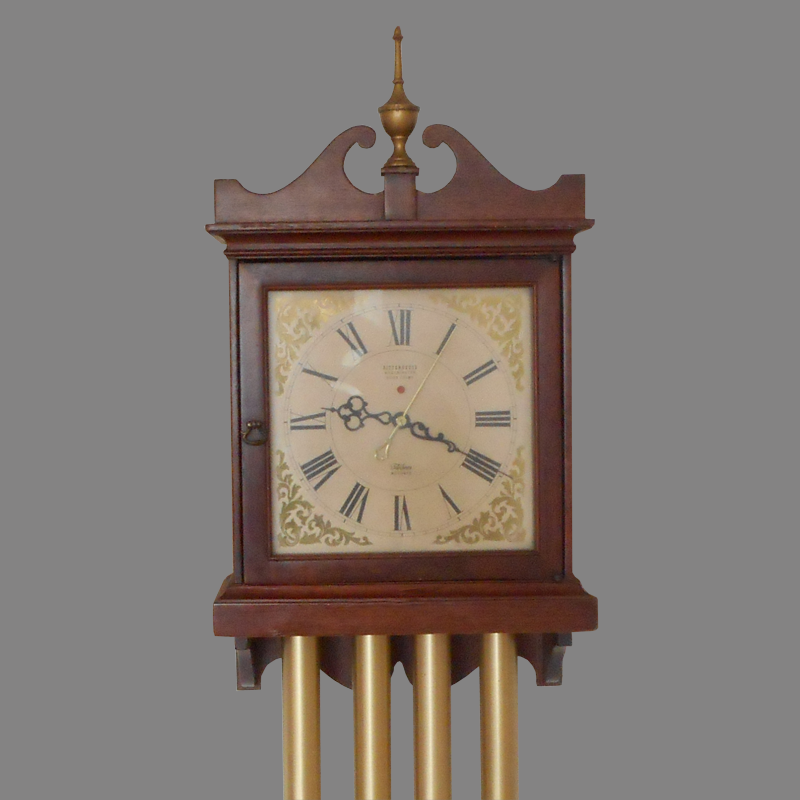 While the Concord was relatively short-lived, the Williamsburg proved far more successful and continued as a top of the line chime until long bell door chimes fell from favor in the late 1970s and early 1980’s. 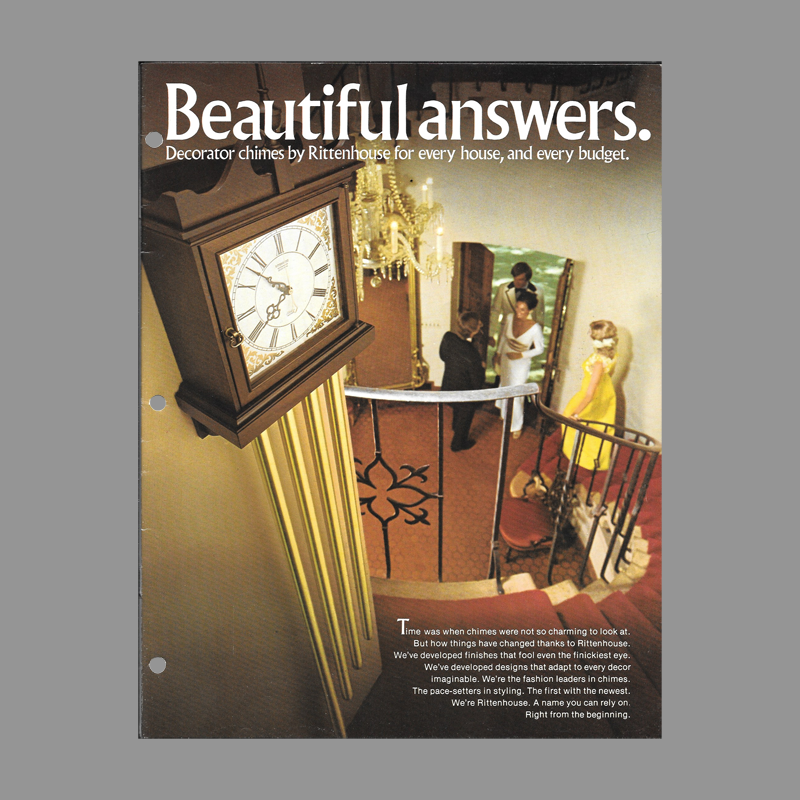 The Williamsburg was the first Westminster long bell door chime included in the Sears “Big Book” analog starting in 1964. The Williamsburg case’s form featuring a colonial revival style and a painted spike finial remained fundamentally unchanged during its long production run. 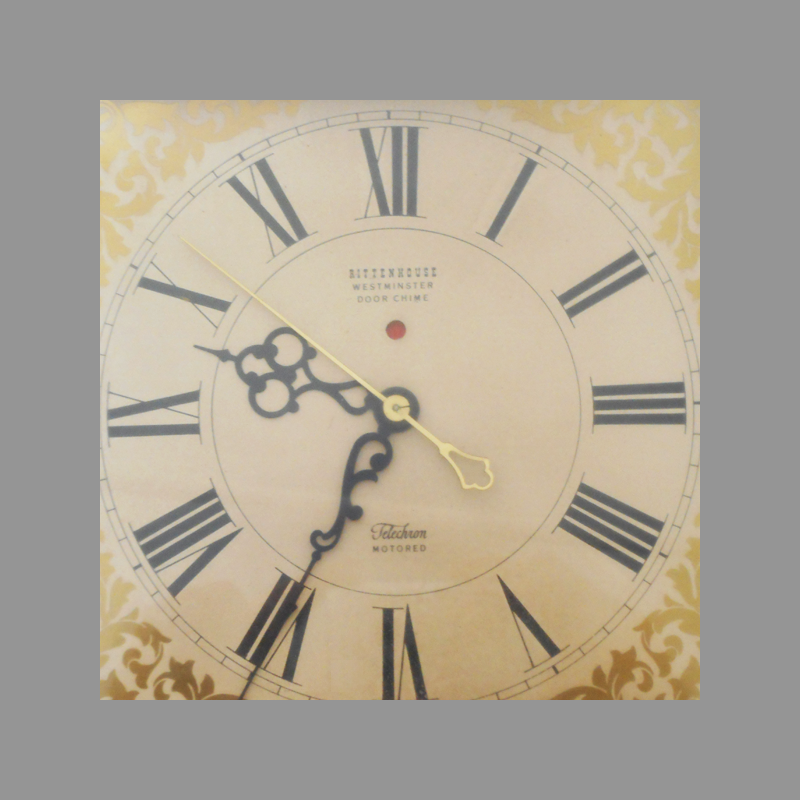 Early chimes were made of Genuine Mahogany while the later chimes boasted a “Mahogany Finish.” The change in the case material probably reflected cost savings from using a less expensive wood species. In the Master Model Controller versions, the longest bell was hung higher than the other three bells. This produced a more even progression of the bells at the bottom. 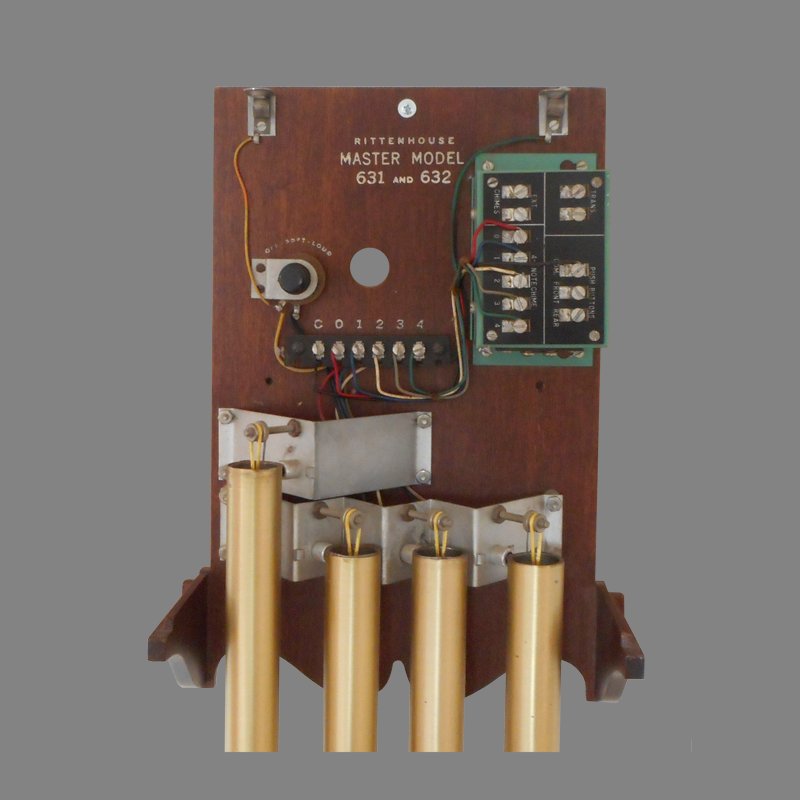 The integrated mechanism hangs all four bells at the same height which produced the typical, more uneven progression of bell lengths. 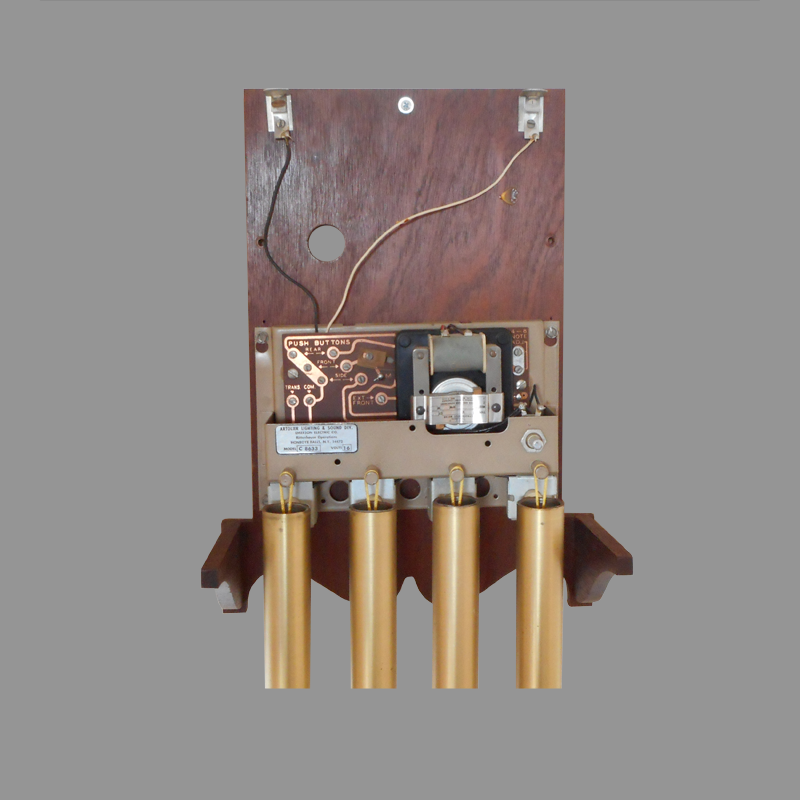 Significantly, the voltage required to power the integrated mechanism and clock rotor was reduced to 16 volts rom 24 beginning with the 633 model. The clocks on modes frffo633 onward deleted the Telechron power failure warning indicator. The red dot alerted the consumer to the need to reset the clock. Re-setting the clock would reset the indicator. Likely due to a more reliable power grid, and as a cost savings measure, the warning indicator was discontinued. Williamsburg model 630 — Authentic colonial reproduction in glowing mahogany. Sounds 8-note Westminster sequence for front door single note for rear. Telechron self-starting electric clock.